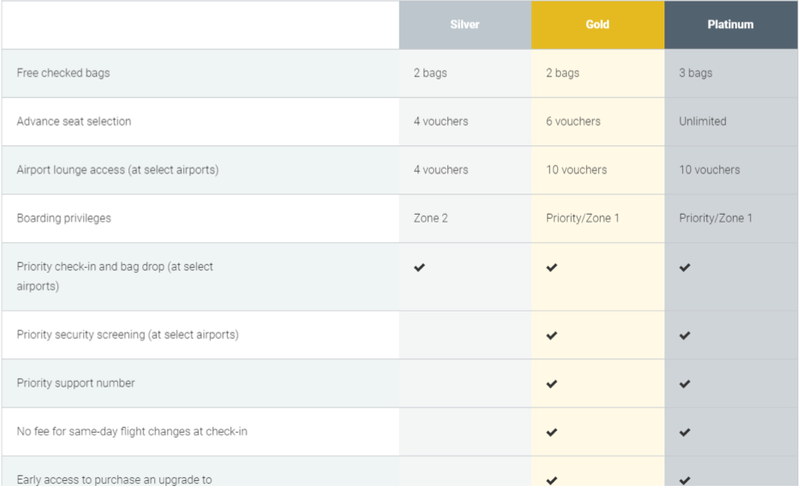 As part of WestJet's global strategy which included the unveiling of their 787 routes today, they have also announced a new elite tier in the WestJet Rewards program. The new tier is Platinum and it marks a new top tier level for the frequent flyer program. To reach the new Platinum status level you will need to spend $8,000 (before taxes/fees) with WestJet during your 12 month qualification period which based on the day you joined WestJet Rewards. For example if you joined May 12, 2018 you would need to reach $8,000 in spending by May 12, 2019 to receive Platinum status for the remainder of your qualifying year and the entire next qualifying year. 8% earn rate on WestJet flights. That's a pretty big return that only gets bigger if you tie that in with the 2% earned on the WestJet World Elite Mastercard for a total return of 10%! The new Platinum tier and changes to other tiers will come into place later this year or early in 2019. We are advised to keep an eye out on westjet.com/platinum for all the details. Teal members will lose 1/2 a percent earn on WestJet flights - currently they earn 1% but that will drop to 0.5% when all these changes take effect. 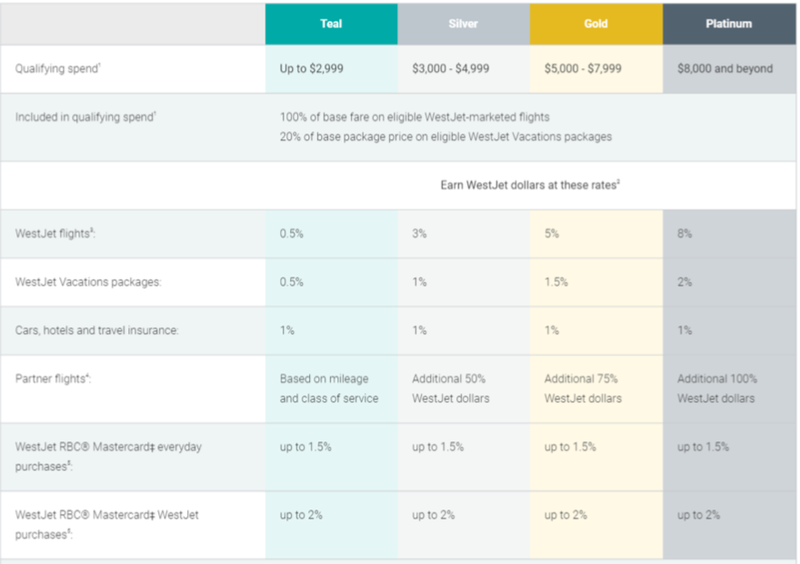 This is unfortunate seeing that we figure most of the 5 million+ WestJet Rewards members are only Teal and fly very irregularly but I guess that has been put in place so cover the 8% that will be earned by Platinum members. Finally, Milestone awards will also get an improvement. The first award will continue to be issued at $4,000 in qualifying spend, however, it will be expanded for travel to anywhere in WestJet’s network, instead of only within Canada. Subsequent milestone awards will be issued at every $2,000 thereafter, meaning you’ll be receiving milestone rewards faster than ever before. All milestone awards issued will be WestJet-wide companion vouchers, valid for travel in Economy or Premium. You can learn more about this Platinum and all other WestJet Elite tiers here. What are everyone's thoughts on this new tier and the changes to the other tiers? Do you think you'll achieve Platinum? Will you now focus more on WestJet flights to reach that status or do you feel this isn't enough to make you shift your travel to WestJet?